Today was Day #6 of Chocolate and Mint Ice Cream Theme Week. I didn't specify what kind of milk or cream. 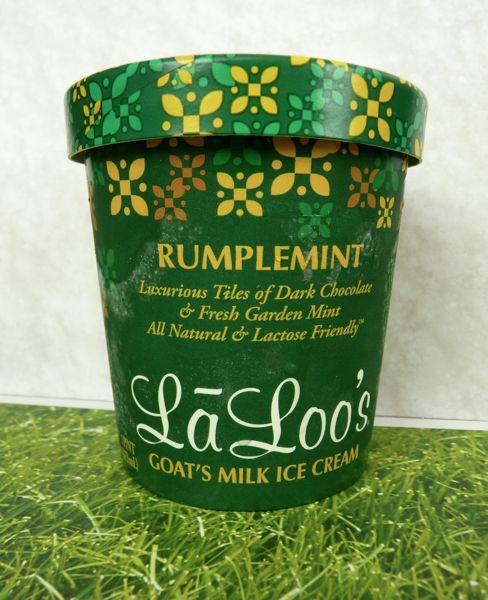 So how about some Rumplemint ice cream, with chocolate chips, made with goat's milk? 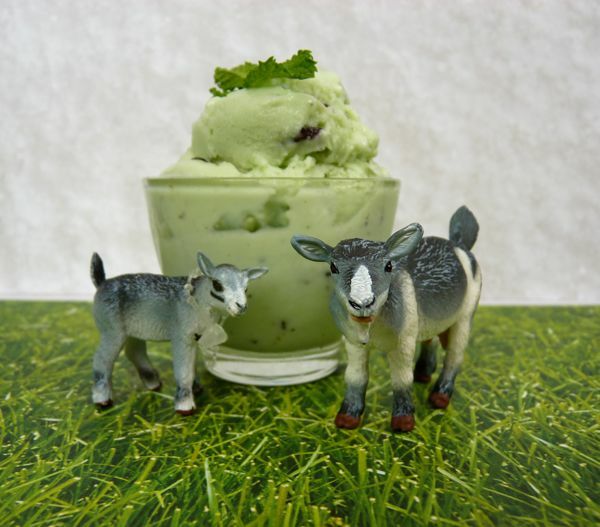 Laloo's Goat's Milk Ice Cream Company is based in Petaluma, CA, in Sonoma County. If I hadn't known this was made from goat's milk, I might not have guessed. It had a very, very slight taste difference, but nothing objectionable. 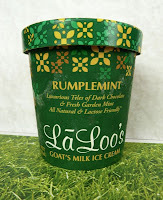 This ice cream tasted rich and creamy like traditional ice cream, but was lower in fat (and calories). The bits of dark chocolate in the ice cream were somewhat frozen and hard to taste (as was the case with most chocolate chips in frozen desserts, and most ice creams sampled this week); but, what I could taste seemed fine.